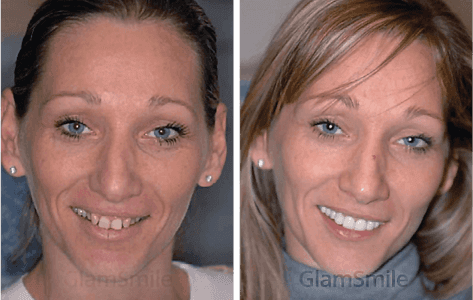 GlamSmile’s minimal preparation porcelain veneers require little to no preparation of the teeth before the veneers are bonded to the teeth. Normally the entire process is done in 2 short and comfortable dental visits. 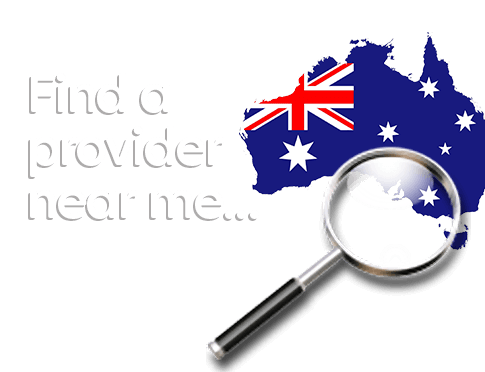 During your consultation, discuss the process and any questions you have. 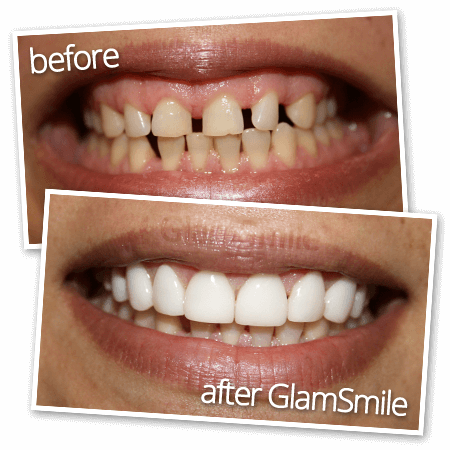 A thorough dental examination and smile analysis will determine if GlamSmile is suitable for creating your dream smile. 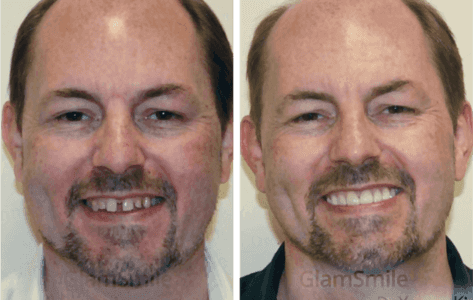 Your GlamSmile dentist will take impressions (moulds) of your teeth, to be sent to the GlamSmile laboratory where your porcelain veneers will be crafted by skilled dental ceramists. Your second appointment will be scheduled for when your veneers are due to be returned from the laboratory. 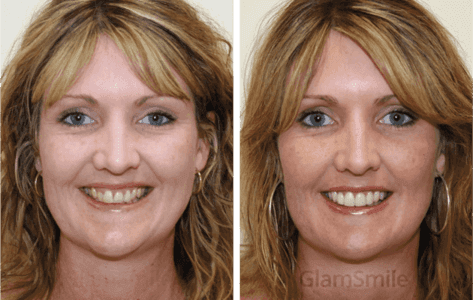 Your teeth are cleaned thoroughly, and the tooth surface is prepared for the placement of your GlamSmile porcelain veneers. 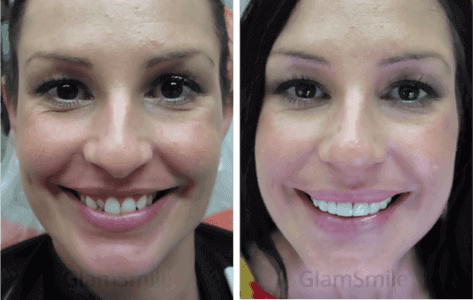 A full arch of up to ten GlamSmile veneers can be positioned in one smooth movement, thanks to the patented tray delivery system. 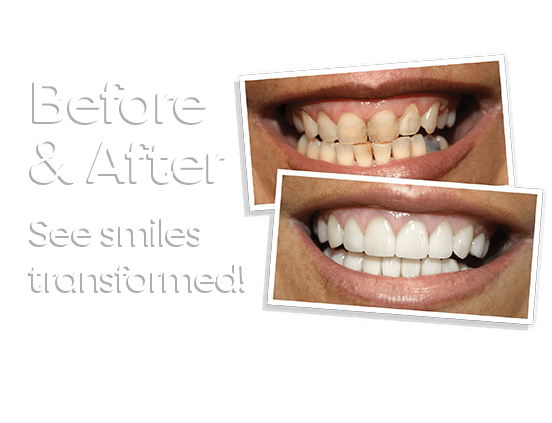 The veneers are then bonded to your teeth with a special curing light which sets the dental cement. 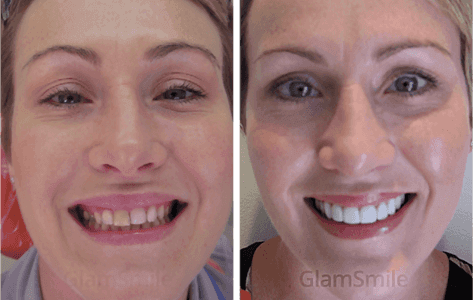 Once the individual veneers are bonded, the delviery tray is removed. 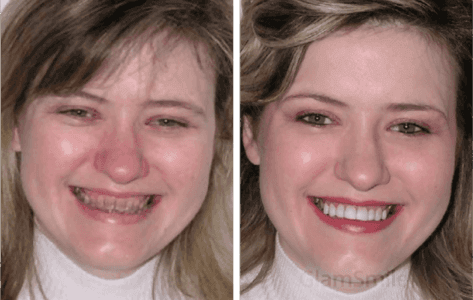 Your GlamSmile dentist will then make the finishing touches to your smile, check your bite movement, and then polish your stunning new smile. 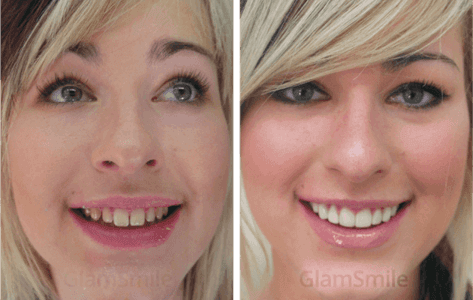 Final Step: Share your beautiful new designer smile with the world!